Imagine how much harder it is for those who don’t, or who don’t anymore. 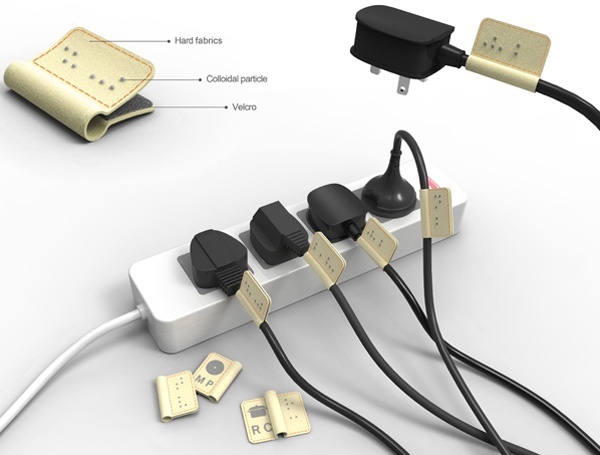 But to make things more organized and a whole lot safer, there’s these Braille Electric Plug Tags, designed by Shuwen Chen. These tags would be made from hard fabrics with Braille letters, device icons and abbreviations embossed onto them. Each tag would have Velcro sewn onto the back, making them easy to put on and remove from cords as needed. 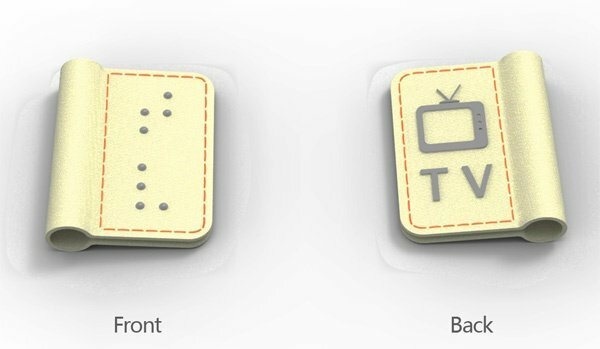 The Braille Electric Plug Tags are yet another winner of the 2011 red dot design concept competition.